What? He's living in India??? I thought I saw him recently .... in Tesco's as per usual! 200 ounces of sliced pork haslet. Isn't that a Naval base near Portsmouth ? There is a Haslet and a Portsmouth in Texas though ! 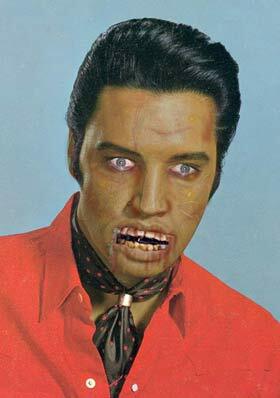 All Elvises look the same to me too! See Father Ted last night? this reminds me of Jack as Las Vegas Elvis.